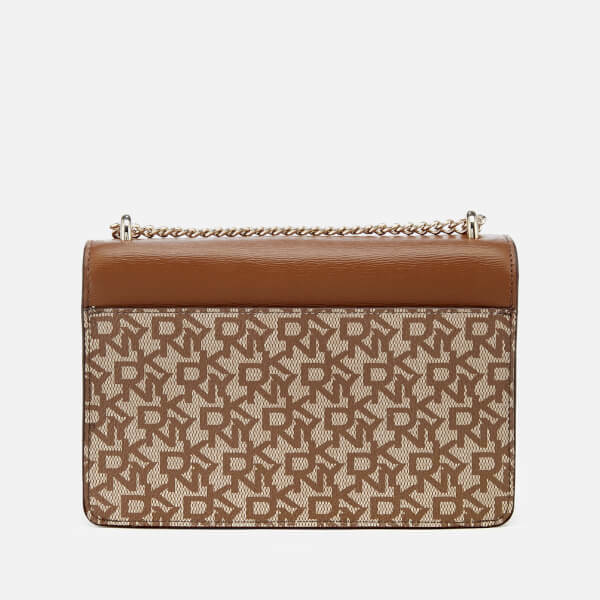 Logo printed shoulder bag from DKNY. 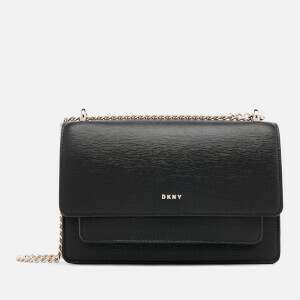 Made from a mix of PVC and cow leather with a repeat logo print design, the small 'Bryant' crossbody bag showcases a boxy design with a magdot-secured front flap and external pouch pocket. 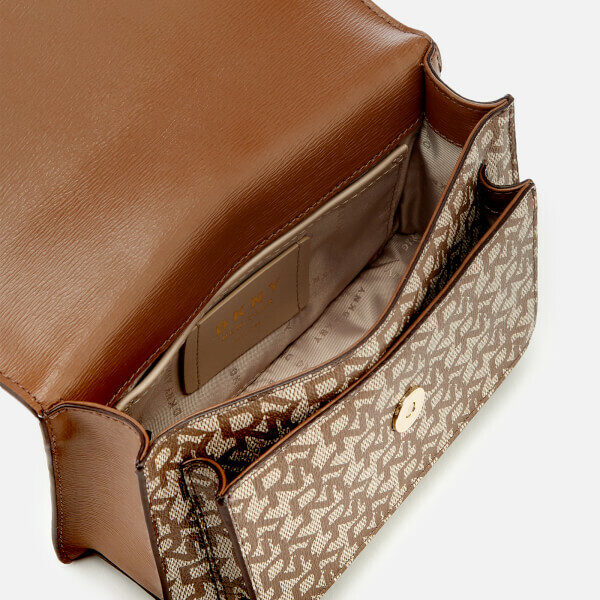 Within, the lined interior features two slip pockets. 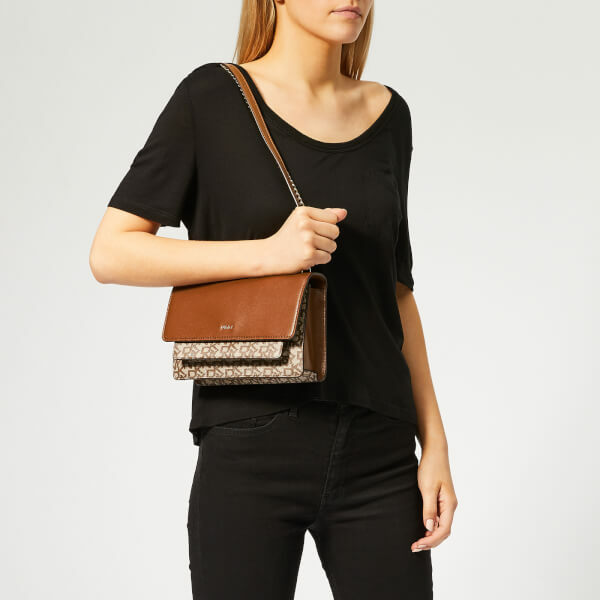 Finished with an adjustable chain and leather strap that can be worn across the body or doubled-up and carried in the hand. Gold tone hardware and branding. Dimensions: H: 14cm x W: 22cm x D: 6cm. Handle Drop: 32cm. Strap Drop: 59cm.